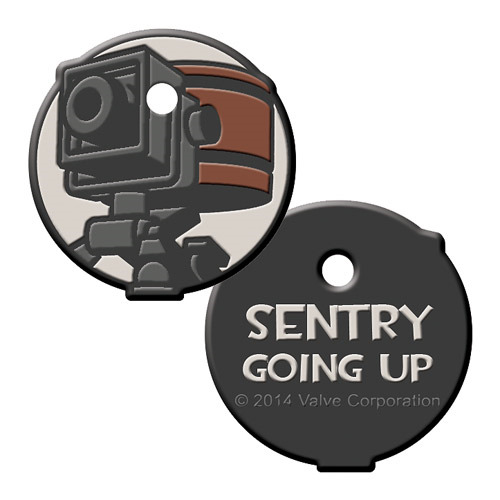 Made from durable co-molded rubber, it's the Team Fortress 2 Sentry Gun Keycap Key Cover! Featuring the tripodal gun made from metal, team-colored painted, and a laser sight from the video game Team Fortress 2, the key cover will fit your standard key blank securely. Perfect for any fan of the Team Fortress video game series!